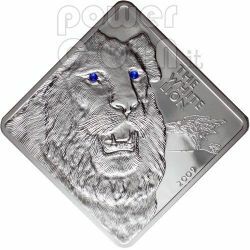 This coin belongs to "Rare Wild Life" series and it is dedicated to White Lion, with two blue Swarovski elements as eyes. 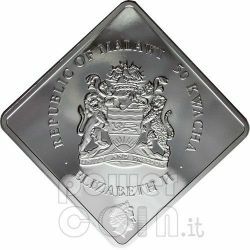 Only 2.500 pieces have been minted of this beautiful square coin made of 2 Oz of pure Silver. 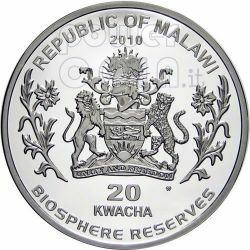 The Mint of Poland is proud to present a new series of coins “Biosphere Reserves” dedicated to the most beautiful biosphere reserves of the world. 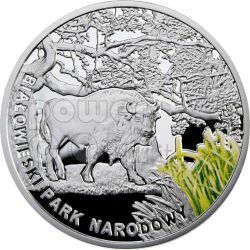 The first coin in the series is ”Tatrzański Park Narodowy” (Tatra National Park), and the next one is “Białowieski Park Narodowy” (Białowieża National Park). 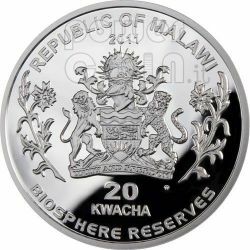 The Mint of Poland is proud to present a new series of coins “Biosphere Reserves” dedicated to the most beautiful biosphere reserves of the world. 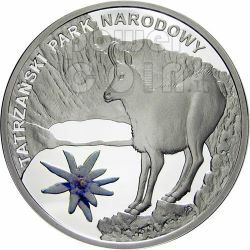 The first coin in the series is struck in Silver 925 in Proof quality and it is dedicated to ”Tatrzanski Park Narodowy” (Tatra National Park).